Lighthouse Consulting & Design (LCD) provides professional web development services to businesses and not-for-profit organizations. LCD specializes in the implementation and customization of CiviCRM. 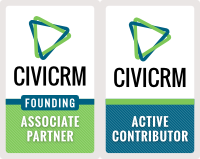 CiviCRM is an open source constituent relationship management software package that integrates into Joomla!, Drupal, and Wordpress. It is geared for charitable not-for-profits and professional/trade associations, and includes components to manage contacts, track memberships, manage event registration, receive contributions and pledges, and distribute broadcast emails. Direct integration with your website allows you to provide realtime access to membership data through your website, including empowering constituents to manage their contact details, register for events, join or renew their membership, and conduct other financial donations and contributions. We provide CiviCRM implementation support in all three supported CMSs: Joomla!, Drupal, and WordPress.